A sun-kissed bride in lace-up boots. 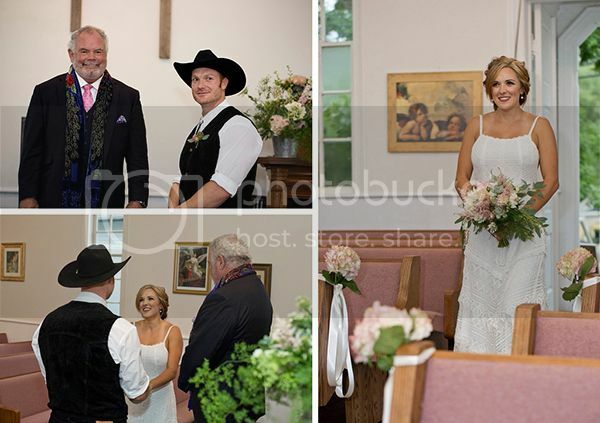 A dapper groom in a cowboy hat. A charming little white church in an equally quaint Colorado town. This isn’t a scene from a great western romance movie. Though elements of this day certainly feel as though they could be. 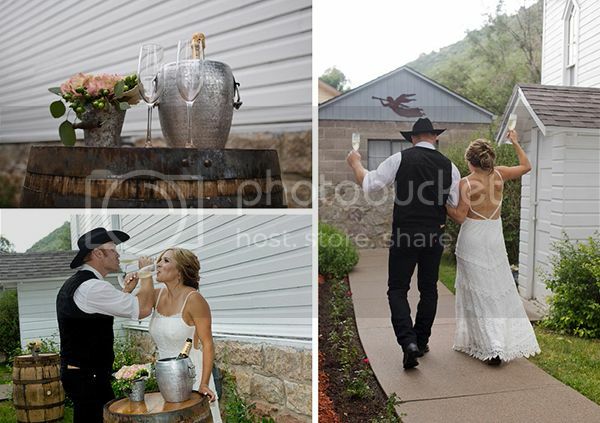 Wedding Sites and Services partner, Crystaline Photography & Multimedia, collaborated with other Colorado vendors to create a casual styled wedding at the Historic Morrison Church. 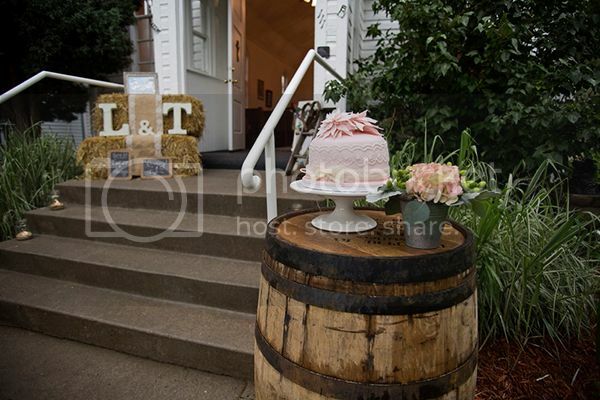 The 1885 venue is one of the oldest churches in the state and has been kept in extraordinary condition with modern upgrades sitting alongside the original craftsmanship. 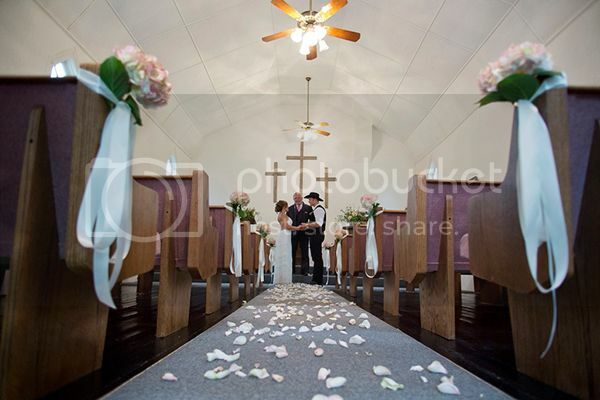 A festively decorated porch welcomes you directly into the sanctuary where classic pews are decorated with flowers and ribbon. 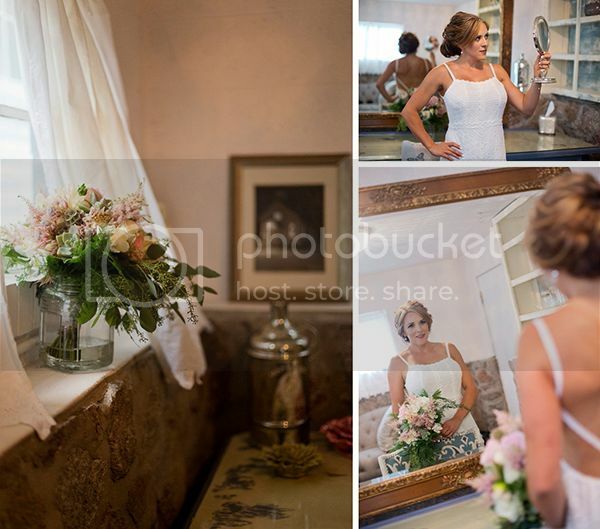 Nearby the bride is donning a simple lace dress and admiring herself in the light that streams through the white curtained window. 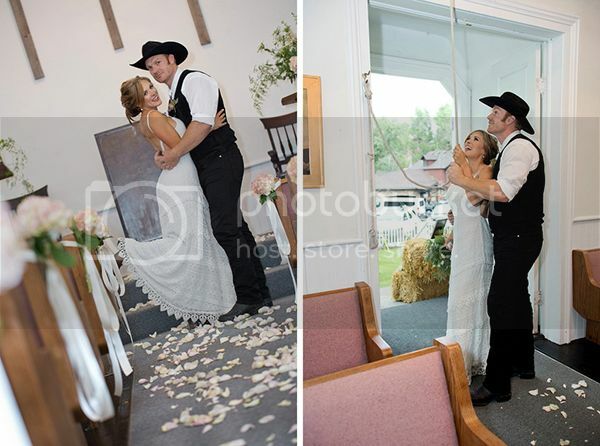 After meeting her cowboy at the altar and exchanging vows, the couple stops on their way out to ring the church bell. 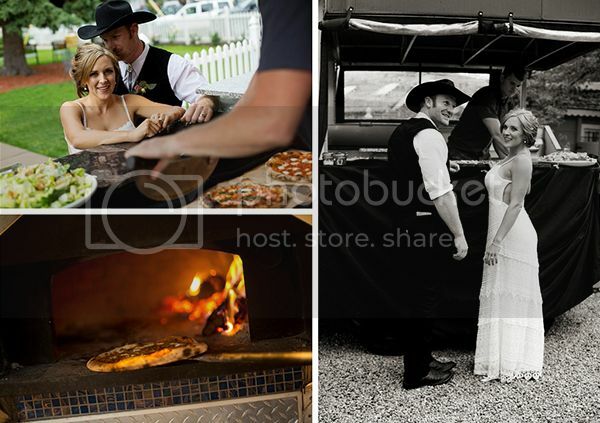 Wood fired pizza, cake, and champagne complete the festivities for the bride and groom. In keeping with the bright, romantic setting; airy pastels and shades of white were used in the décor, floral designs, and petite cake. 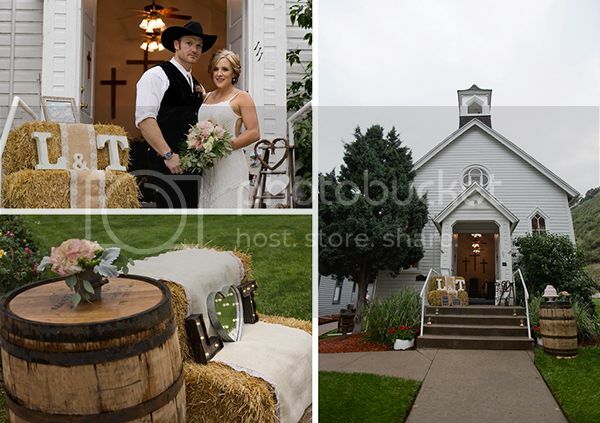 Hay bales, burlap, and lace add rustic flair and loads of texture. A modern food truck brings a festive dinner option to an otherwise ceremony-specific venue. The design team’s intention was to create a casual wedding that could easily be afforded by most couples. The laid back, low budget approach is successful thanks to a classically beautiful venue and special touches in just the right places.